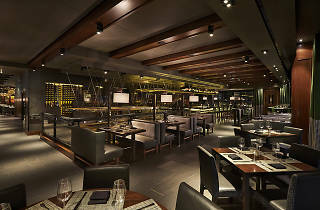 Take a seat in a plush leather booth at Del Frisco’s Double Eagle Steakhouse and order steakhouse staples like a filet mignon or a rib-eye, or opt for a more unique cut like the 32-ounce wagyu tomahawk chop. To drink, it’s all about the wine. 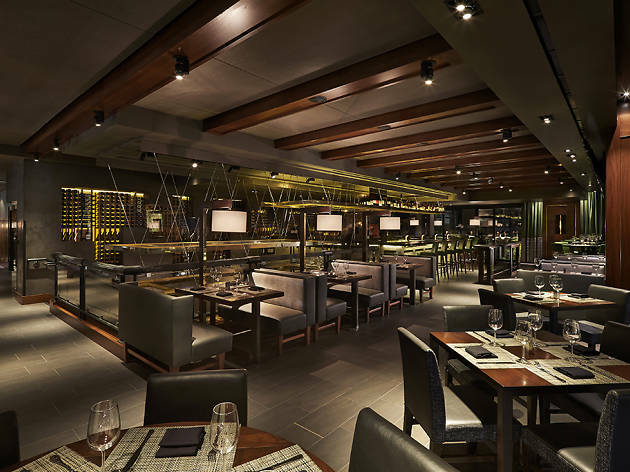 Exposed cellars throughout the restaurant’s three levels show off the collection of over 1,200 labels, which are chicly complemented by an abundance of dark wood, metal and vibrant pops of color.